Are you frustrated and confused about all the different diet and nutrition advice that never seems to work for you? Imagine feeling significantly better, decreasing body fat, and even eliminating the symptoms above without the use of fad diet programs, starving yourself, or prescription medications. Now imagine feeling significant relief from many of the symptoms above in the next 2 WEEKS. We’ve helped hundreds of clients make sense and take control of their own nutrition. We understand that you have your own unique diet, health, and fitness history. And, we respect that you have certain dietary restrictions and preferences. Most importantly, we get that you want to feel empowered to take your nutrition and health into your own hands while feeling a sense of accomplishment. 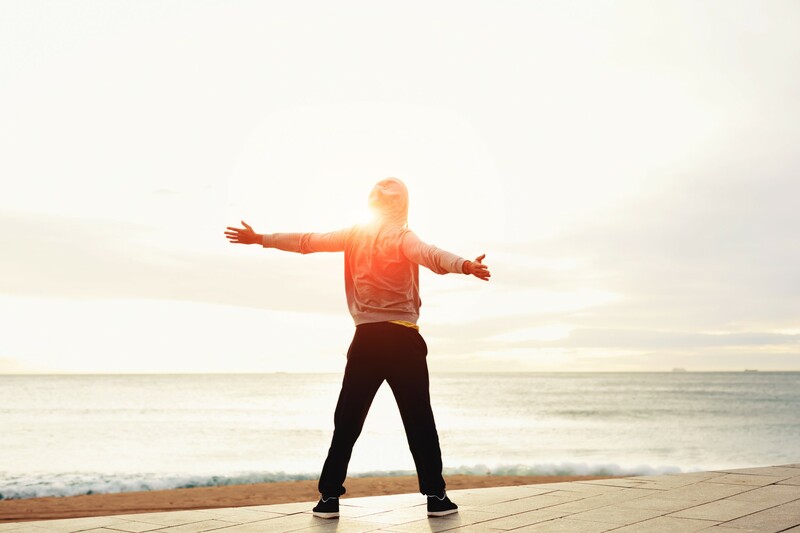 Our 30 Day Tune-Up program is a proven, self-guided, and complete plan for re-booting and optimizing your body’s natural fat-burning, muscle-building, and hormone regulating pathways. REPAIR & heal your gut to create a strong foundation for vibrant health. RECOVER your innate ability to effectively optimize your detoxification pathways. RESTORE essential nutrients necessary for re-booting your metabolism & regulating hormonal balance. Achieving both your short and long-term health and fitness goals will be largely dependent on the OPTIMAL consumption of macro and micronutrients, an un-impaired GI tract, and properly managing the stressors responsible for the positive physiological and physical changes you are likely seeking (workouts, life stress, work stress, etc.). The reference guide, 6 Steps To Achieving Optimal Health, provides valuable insight while outlining 6 foundational principles for effectively optimizing your nutrition, and achieving a healthy and well balanced lifestyle. Do I have to follow a strict diet plan? No. The suggested meal plans provided in the program are simply recommendations for how to organize your meals and short-term essential supplementation. The beauty of the 30 Day Tune-Up program is you learn to not fear food. Instead, you learn how to enjoy an extensive variety of foods while simultaneously eliminating the cravings for foods that may be inhibiting both your overall health and desired results. We find our clients are often shocked at both the range and quantity of foods they find on our Foods To Enjoy, Foods to Eliminate, and Foods to Eliminate OR Enjoy resource tool included in the program. You’ll begin shedding un-wanted body fat and feel your best when your body is operating at an optimal level! This program works because it’s rooted in what we know about your human DNA and the evidence-based research that exists supporting both the process and the nutrients provided in the R3 & V-R3 GI Restoration & Optimization kits. We don’t subscribe to fad diets that: eliminate entire macronutrients, require prolonged periods of fasting, and/or are built solely around supplements and food products. Instead, we base our program(s) on the consumption of REAL food and find that most individuals achieve much greater results when adding targeted supplementation to support micro and macronutrient needs that are often un-obtainable through food consumption. More on that in 6 Steps To Achieving Optimal Health (contained in the program). 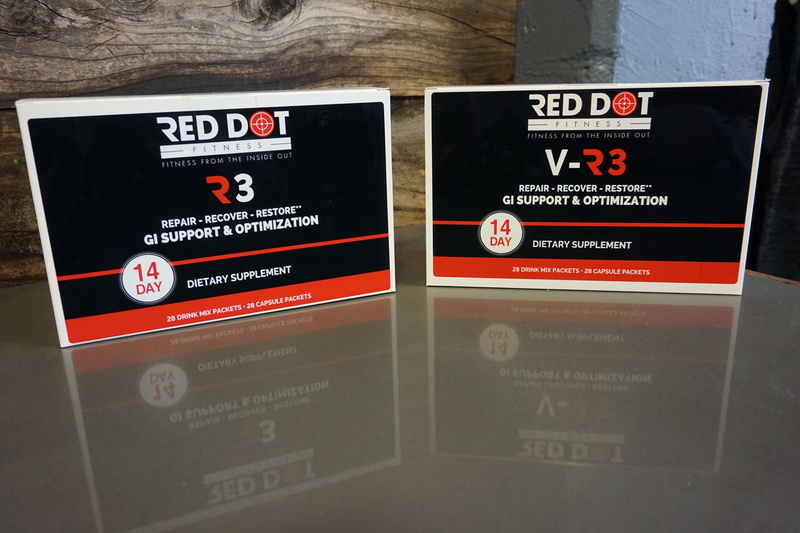 What are the R3 and V-R3 GI Restoration & Optimization Kits? The R3 Kit is a comprehensive, science-based nutrition support system designed to facilitate safe and effective phase 1 and phase 2 liver detoxification (learn more about legitimate & effective detoxification) and optimize gut function. These are NOT considered meal replacement packs: they are nutritonal support packets for a short, but critical, 14 day period. R3 contains animal-based protein. V-R3 strictly contains vegan ingredients only (click the links above to view the supplement facts). 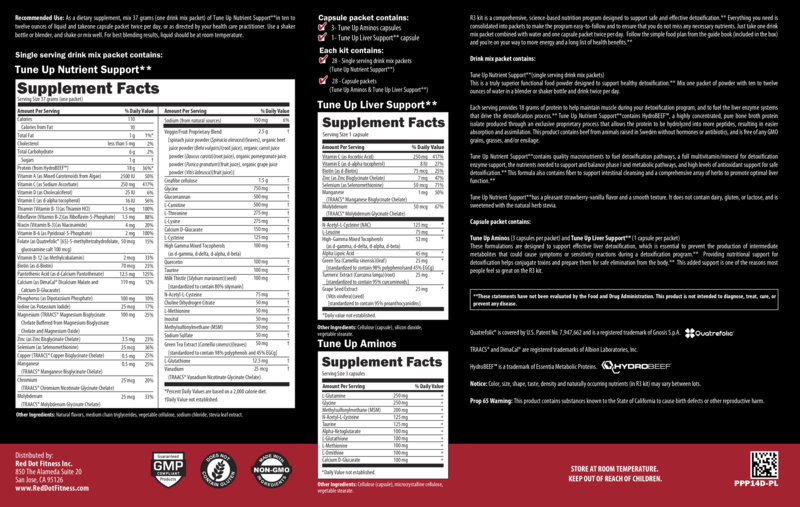 Everything you need to adequately supplement your 30 Day Tune-Up nutrition is consolidated into these packets to make the program easy-to-follow and to ensure you don’t miss any necessary nutrients. Just take one drink mix packet combined with water and one capsule packet twice per day along with the suggested foods in the suggested meal plans. Follow the simple step-by-step process provided to you through regular email communication and you’re on your way to a long list of health benefits. Your personal health and healthcare are your responsibility. You have the power to influence and optimize your health and wellbeing NOW. To take action and change your health starting now, simply enroll by purchasing the program using the link below. Then, follow the steps to receive your reference and success tools. You will receive the first of 7 emails over the next 4 weeks. These emails will provide you the step-by-step process, instructions, tools, and materials including how to claim your R3/V-R3 Kit to begin your 30 Day Tune-Up and journey to better health.